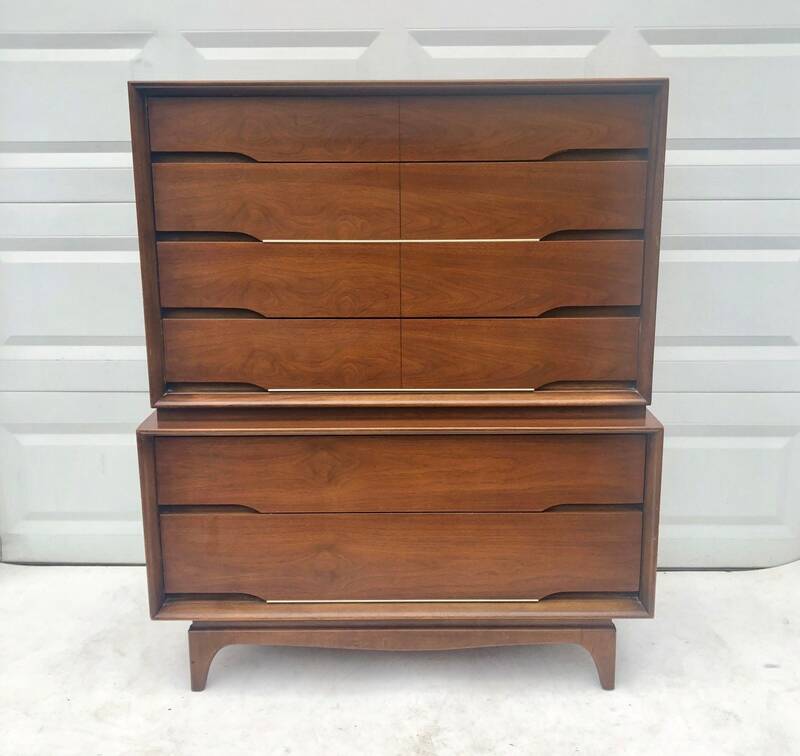 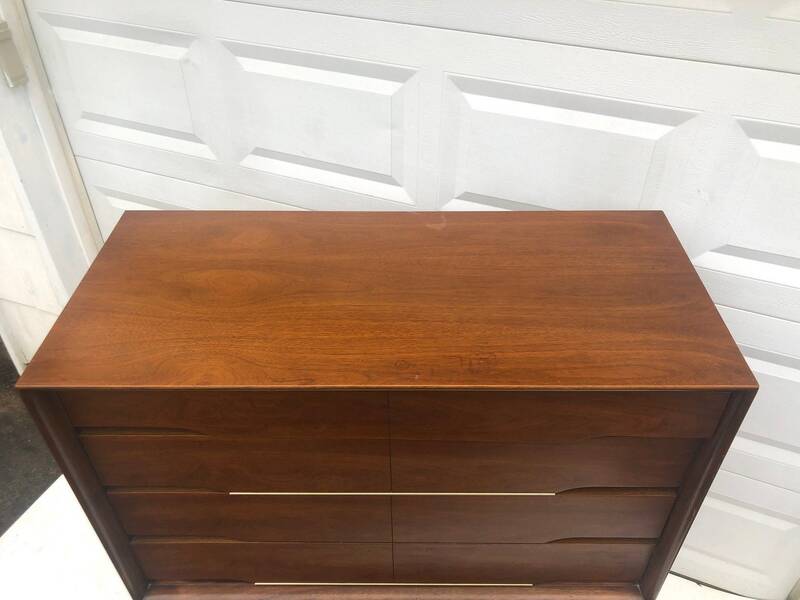 This stylish highboy bedroom dresser by Kent Coffey features rich walnut finish, unique brass trim details, and quality mid-century modern construction. 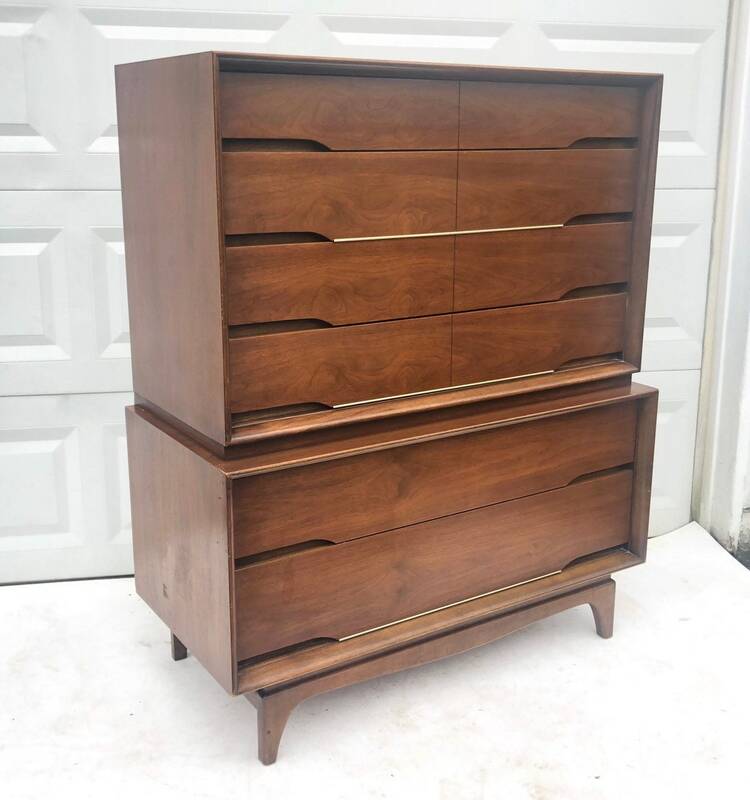 Dove tail drawers, tapered legs, and plenty of storage make this the perfect tall dresser for bedroom storage.This Kent Coffey Forum dresser has a matching pair of nightstands, mirror, and long nine drawer dresser that are also available. 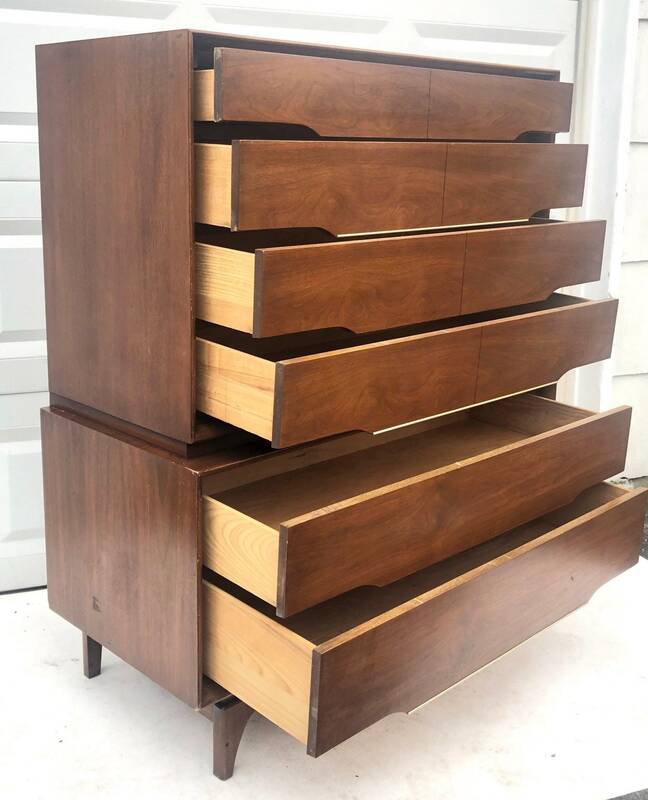 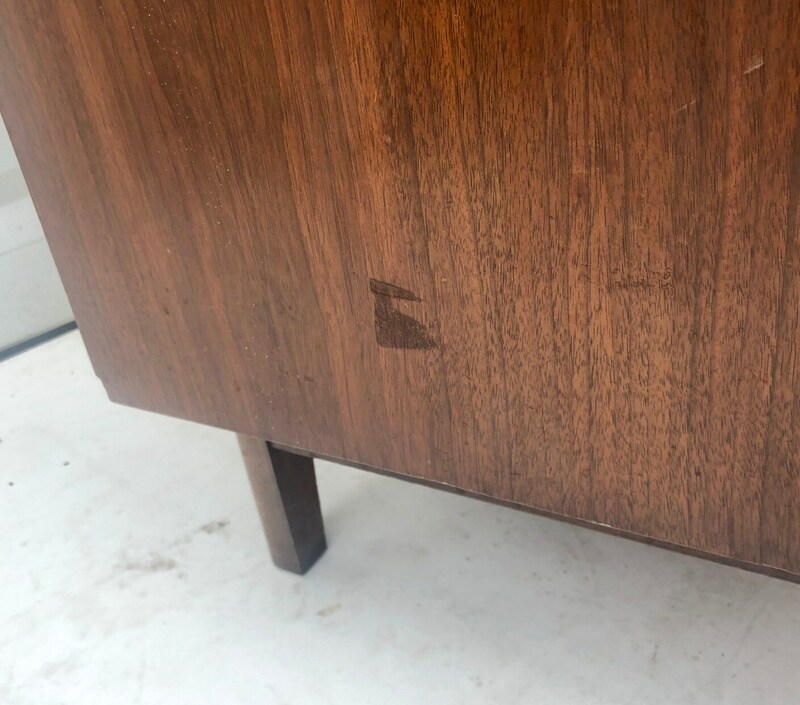 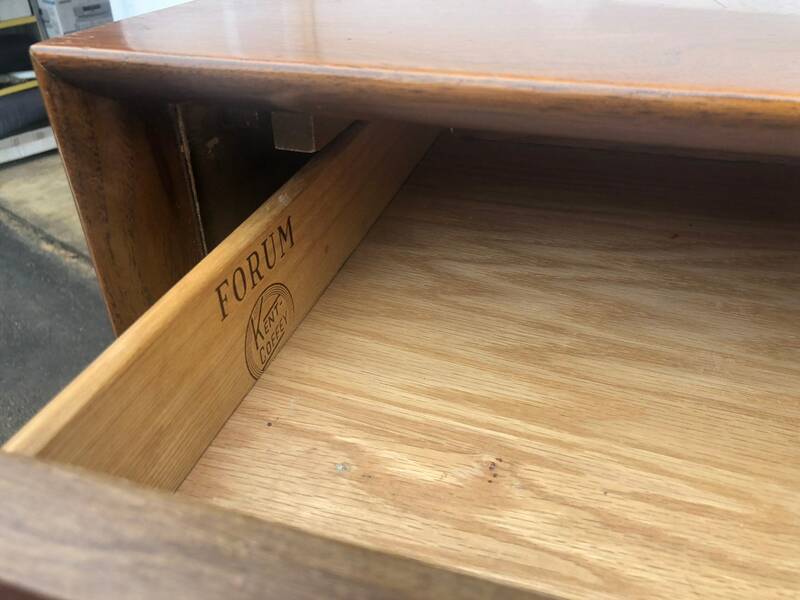 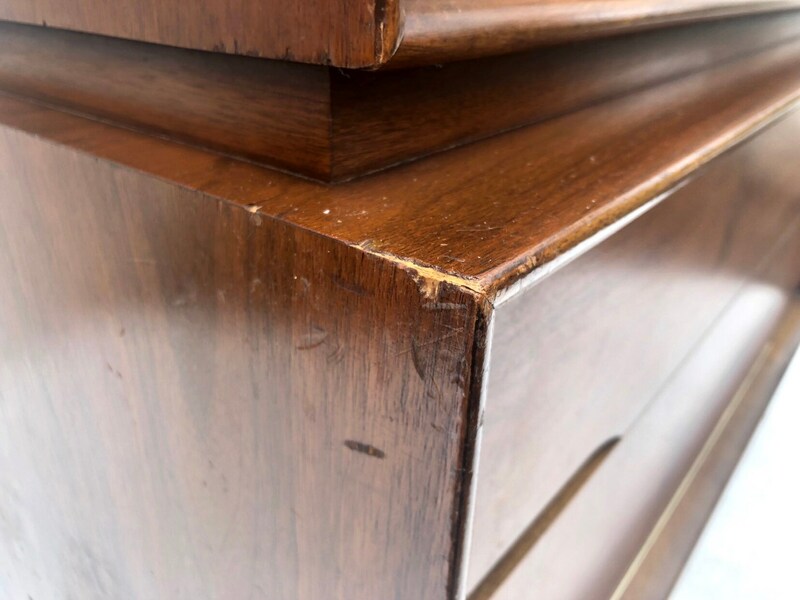 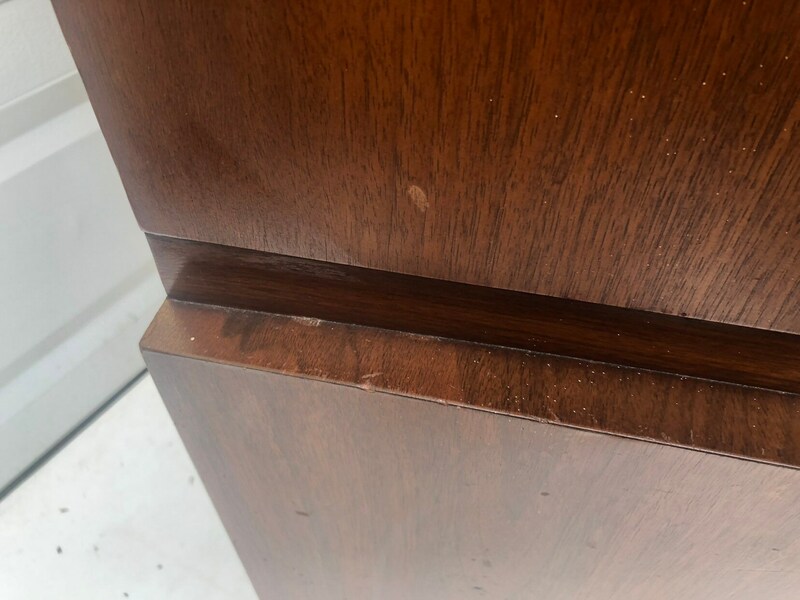 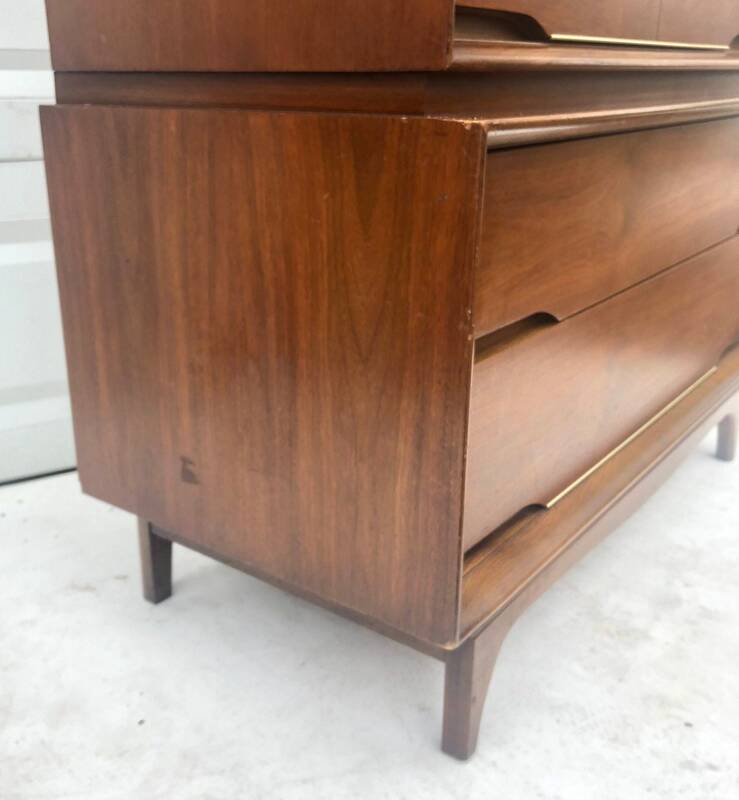 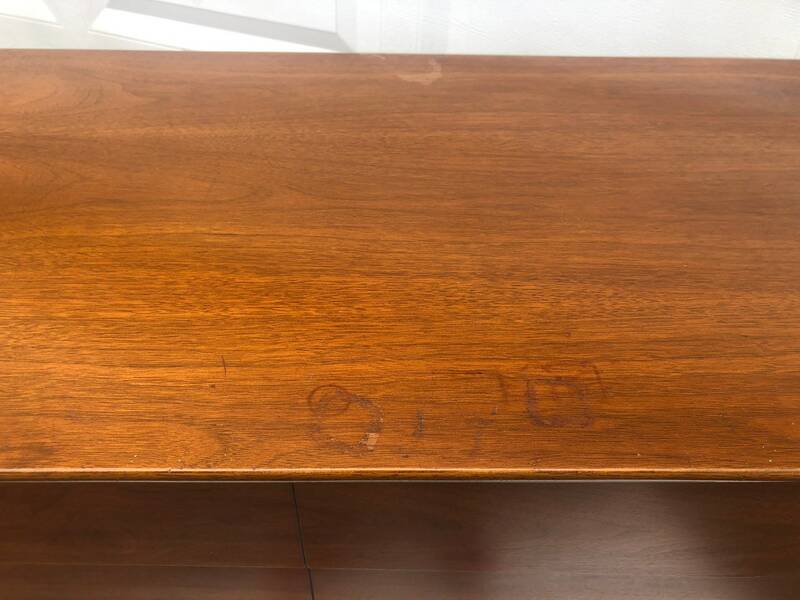 Condition: age appropriate wear, vintage finish worn, some scuffs/stains/edge wear, veneer chip,top drawer missing drawer glide, interior marks- see photos for details.